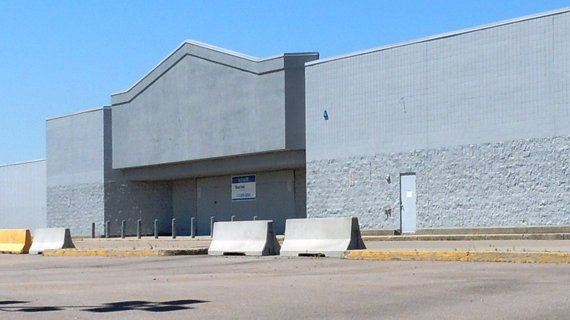 In June, 2014 the Supreme Court of Canada ruled in favour of Quebec workers who lost their jobs at a Walmart store in Jonquière, Quebec after the store shut its doors suddenly months after its employees unionized. The court ordered that the workers be compensated and found that Walmart had modified working conditions for the employees without a valid reason when it shut down the store in February 2005. The ruling ends nearly a decade of legal battles between 190 employees who lost their jobs at the Jonquiere location and the corporate giant. In the eyes of the United Food and Commercial Workers union (UFCW Canada), the union who organized the 190 workers at the Jonquiere store, the Supreme Court ruling is a historic and positive milestone in protecting workers' rights. A move that will likely compel employers to justify their actions if they decide to close a store. "The Supreme Court ruling sends a message that no one is above the law," says Paul Meinema, the National President of UFCW Canada. "Year after year, Walmart uses dirty tricks to stop its associates from exercising their democratic right to join a union, and that's exactly what happened with the employees at the Jonquière store. By clarifiying that employers must respect the law and the rights of their employees when making business decisions, this ruling serves a major positive landmark," Meinema adds. On December 6, 2013, the former Walmart employees in Jonquière appeared before the Supreme Court of Canada for the second time in a final attempt to win their case. They based their argument on Article 59 of Quebec’s Labour Code, which states that working conditions must not be altered in any way, shape, or form during a unionization process. "When a company closes down its business (which it can indeed do), the counter is not reset. For a certain amount of time, the company is obliged to offer an explanation for their decision," said Mr. Claude Leblanc, the lawyer representing former Walmart associates in Jonquière. "Furthermore, as far as employees are concerned, the result is the same whether they are laid off temporarily or dismissed, let go, or in a situation where their workplace is closed down. In any case, they lose their jobs and their working conditions are altered," Mr. Claude Leblanc added. All 190 former Walmart associates, who are members of UFCW Canada Local 503, always hoped that they would eventually obtain justice. "I commend the courage of these men and women, who stood up for their rights for many years," says UFCW Canada Local 503 President Louise Lefebvre. "Their tenacity has been a major source of inspiration to our union, and they have certainly made a difference in advancing labour rights in this country," Lefebvre adds.